This is the same content that was sent out in the November 2018 newsletter. Click the subheadings to expand the content. Giving for the tenth annual Give to the Max Day opens Thursday, November 1 and will remain open until Thursday, November 15. Give to the Max Day, organized by GiveMN, is an opportunity for Minnesota charities and schools to enhance their fundraising capacity. It is possible to give early and often, and we encourage you to do so, please! Give to the Max Day is also a big day for matching grants. 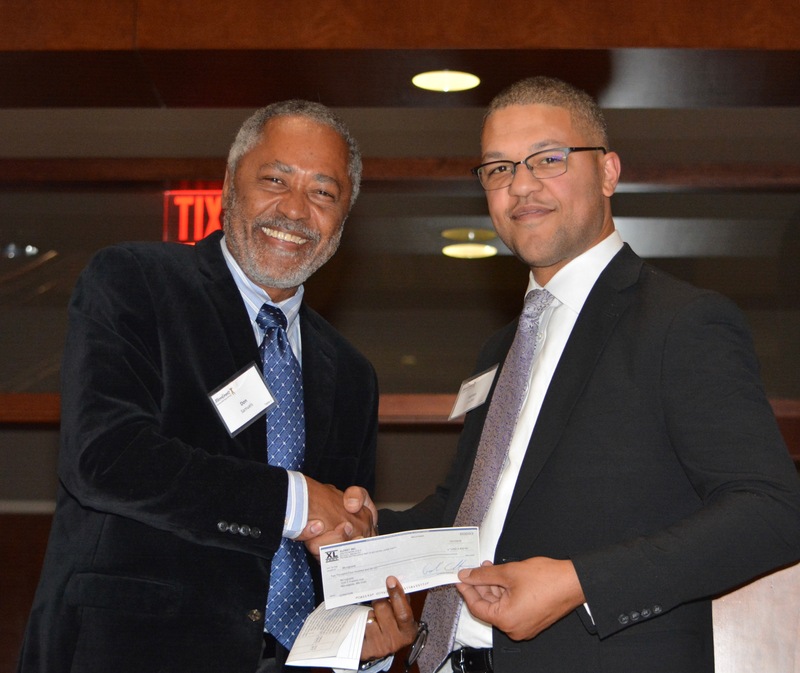 MicroGrants has received $50,000 in pledged matching funds. We are so grateful for their generosity and hope that you’ll donate and help us unlock those matching funds! Last year, MicroGrants raised $50,000 on Give to the Max Day. This year, we are hoping to raise over $50,000. This money helps low-income people of potential achieve self-sufficiency through work. We are able to do our work because of the generosity of donors like you. 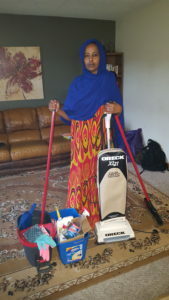 Please join us on Give to the Max Day at https://www.givemn.org/organization/Microgrants/. One of the reasons we encourage you to give early and often is because GiveMN offers additional incentives called Golden Tickets. Every day from November 1 to November 14, and every hour on November 15, GiveMN draws one donation and adds $1,000 to it. Additionally, every 10 minutes on November 15, GiveMN will give out a Mini Golden Ticket worth $500. Help us win! More important than any of the incentives, however, is the support that come from you. Your generosity makes it possible for us to help our grantees reach financial independence. Please donate in November to help us meet our fundraising goal and continue our life-changing work! Our keynote speaker for the evening was grantee Adrian Coulter, owner of XL Feet, pictured with Don Samuels (photo by Tricia Haynes). 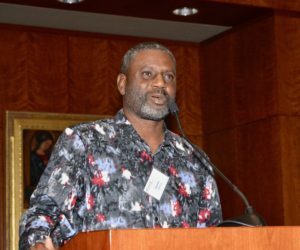 Adrian spoke of the importance both of MEDA (Metropolitan Economic Development Association), the partner agency that introduced him to MicroGrants, and of the grant he received. He said, “I didn’t know what I didn’t know,” and he explained the importance of the business coaching that MEDA provided. 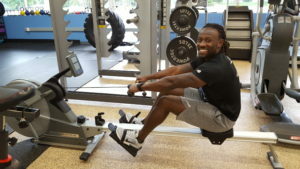 Talking about his grant, he said, “A thousand dollars is a million dollars when you need it.” On the topic of a million dollars, XL Feet passed the million-dollar mark in gross sales last year for the first time! We are so proud of Adrian’s accomplishments and so glad that he has decided to donate to MicroGrants! Gabe Tandoh, a massage therapist and personal trainer, came to MicroGrants through the Father Project at Goodwill Easter Seals. Regarding how MicroGrants helped him, he says: “They helped me basically upgrade the equipment that I desperately needed for the business . . . I’ve been able to get more clientele, and I’ve been extremely satisfied.” Way to go, Gabe! Dofa Mohamed, a single mother, used her business grant to buy supplies and register her cleaning business. She came to MicroGrants through Open for Business—Scott County. 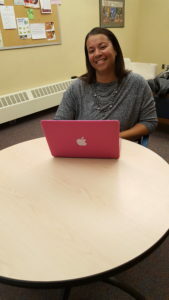 She says, “It really helped me to own my own business and be my own boss, to have my schedule around my kids. . . . Also, I’ve become [a] role model to other single moms who thought they can’t own their own business . . . they [are] now working on starting their own business too.” Great work, Dofa! 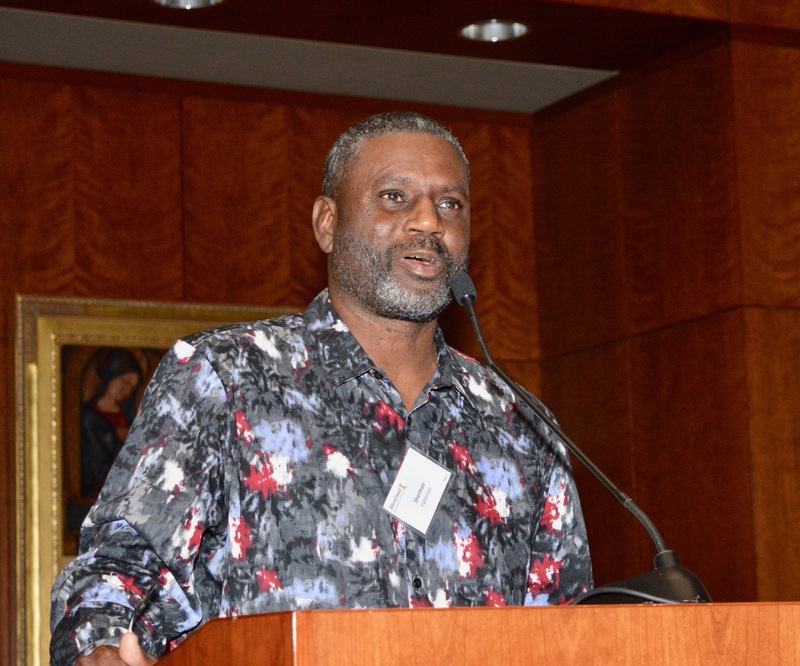 Board member Sherman Patterson, pictured here (photo by Tricia Haynes), has volunteered to lead the Lights On! program. 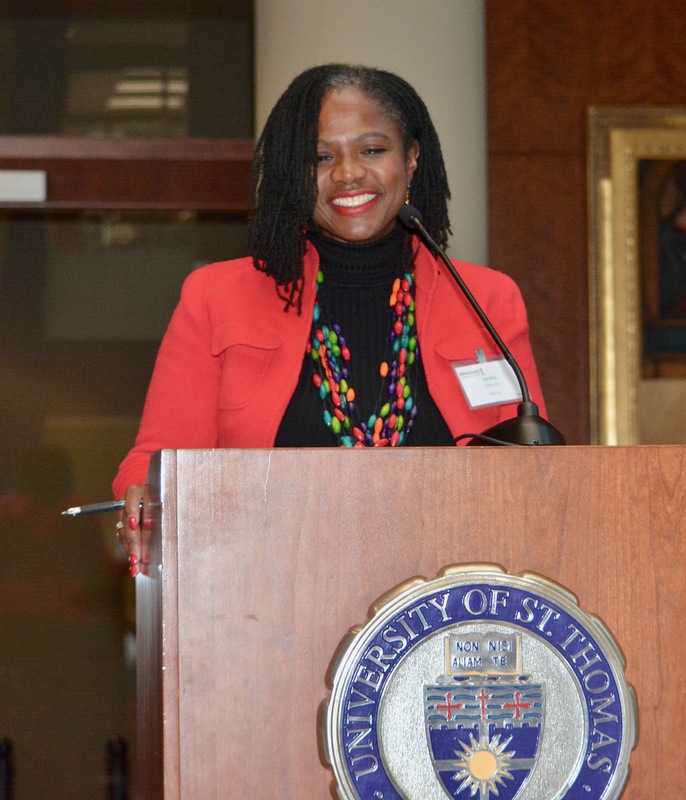 Sherman brings his experience having worked with the Minneapolis Police Department and organized a national gun summit for police chiefs. Lights On! now reaches 23 police departments in the Twin Cities metro area. Iowa City, IA, and Wichita, KS, have already started their own car repair voucher programs based on Lights On! Charleston, SC; Nashville, TN; Kansas City, KS and MO; and Newark, NJ are all in discussion with MicroGrants about how to begin their own Lights On! programs as well, and we hope to expand even beyond those cities. NAPA Auto Parts, with over 17,000 franchises nationwide, has stated interest in helping with our expansion. Having a national supplier of lights would greatly enhance Lights On!’s ability to expand beyond the Twin Cities area. Recently, we have added three new police departments in the Twin Cities metro area, bringing the number of municipalities served from 20 to 23. The three new police departments are the University of Minnesota Police, the Corcoran Police, and the Woodbury Police. 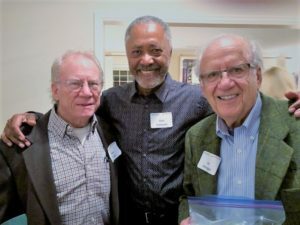 Board member Tom Rock and his wife, Melissa Raphan, hosted a gathering of friends at their Edina home on behalf of MicroGrants. It was a very nice evening with a few short talks by founder Joe Selvaggio, CEO Don Samuels, and grantee/business owner Anthony Dahl of Evergreen Cleaning. It was a delightful evening with delicious food (from a MicroGrants grantee Tracy Wong at My Huong Kitchen on Nicollet/Eat Street), pleasant conversation and great news shared on the recent work of MicroGrants and Lights On! 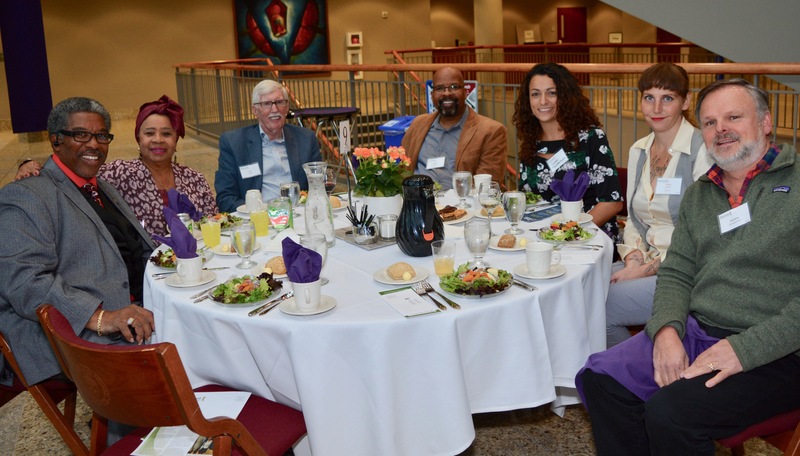 On Tuesday, October 16, MicroGrants Board Member Chuck Garrity was invited to an “Advisory Committee Luncheon” at Lorenzo Walker Technical School. 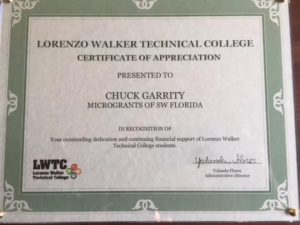 At the luncheon, Garrity, who runs MicroGrants’ Southwest Florida Chapter, was surprised when they awarded him a Certificate of Appreciation for his work with MicroGrants of Southwest Florida. 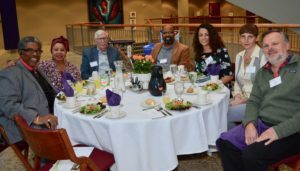 In his short acceptance speech, he told the 250 luncheon attendees that he and his wife, Arlene, feel that helping students into good, meaningful employment is an honor. 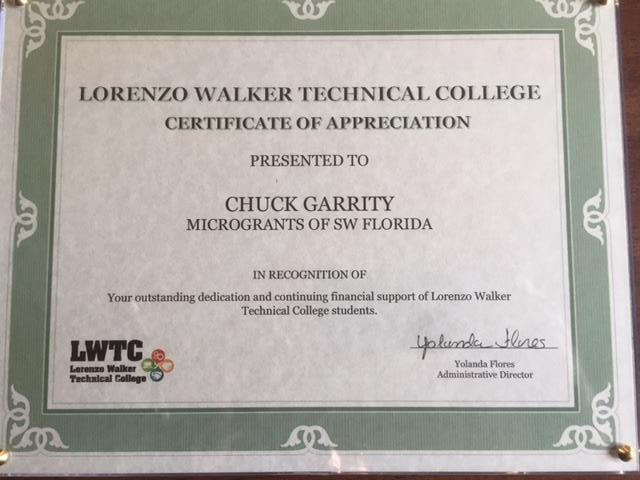 Lorenzo Walker Technical College is one of eight partner agencies of MicroGrants’ Southwest Florida chapter.